Heading to the gym? Then make sure to take Towel Tech! The ultimate fitness towel, it’s a medium weight, soft towel measuring 16 inches by 28 inches that is made out of an eco-friendly material which is very absorbent, quick drying, and antibacterial. One side is grey and the other is blue so it’s easy to identify which side to use on your face and which side to use to wipe down equipment. A mesh zipper pocket is big enough to hold keys, ID, and most phones, with the added benefit that you can see your messages through the mesh. Located in one corner of the towel is a magnet that allows you to attach your towel to the side of the weight machine or other exercise equipment with a satisfying click, and presto, your towel stays off the dirty, germ-laden floor. So many smart features! 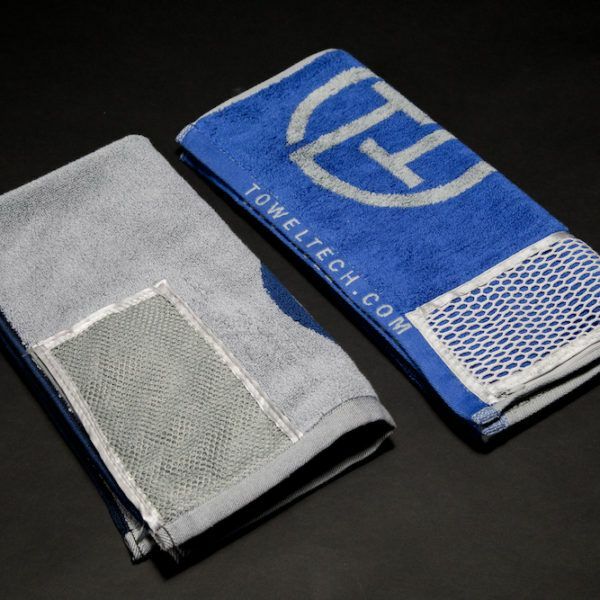 As they say, Towel Tech is the “gym towel evolved”!